In some people’s eyes, no type of gutter looks better than copper. 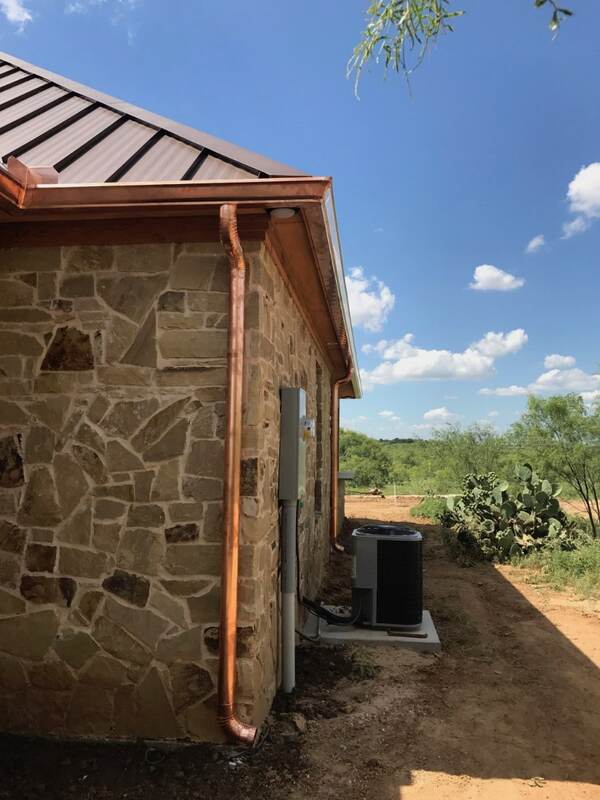 While more expensive than some other materials, copper gutters may last longer too. 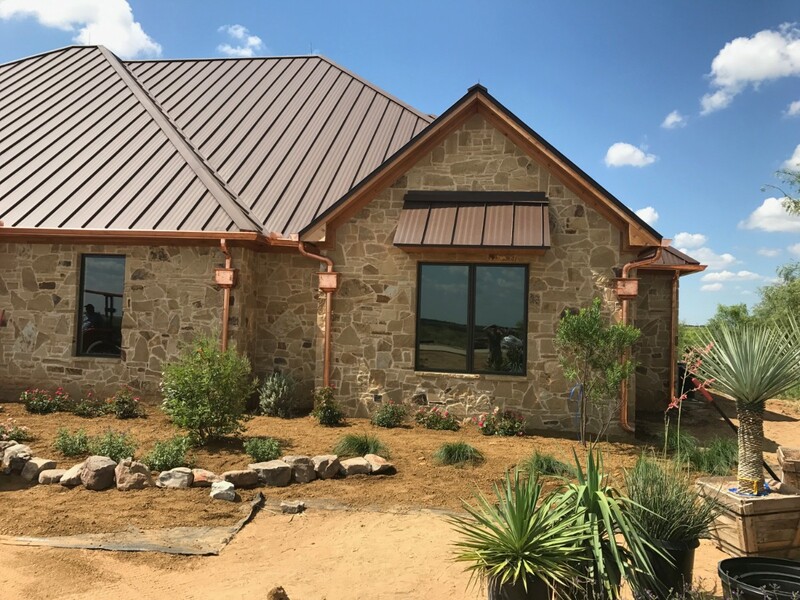 You can often significantly upgrade the look and appeal of your home simply by adding copper gutters and downspouts instead of other seamless gutter options. 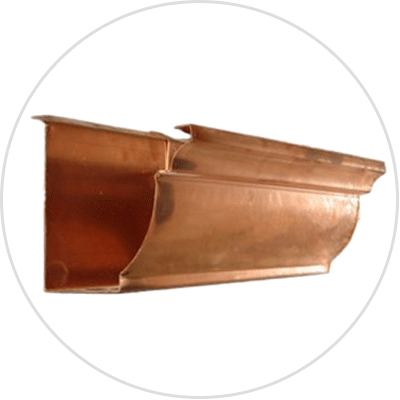 Why Choose Copper Rain Gutters ? 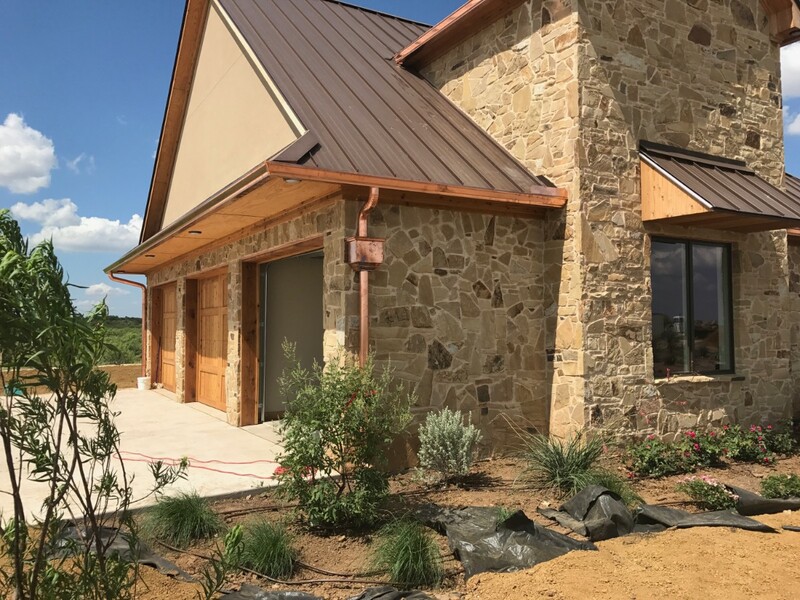 For homeowners and business owners who insist on the very best and have beautiful structures that deserve premium treatment, copper gutters are a beautiful and sensible choice. 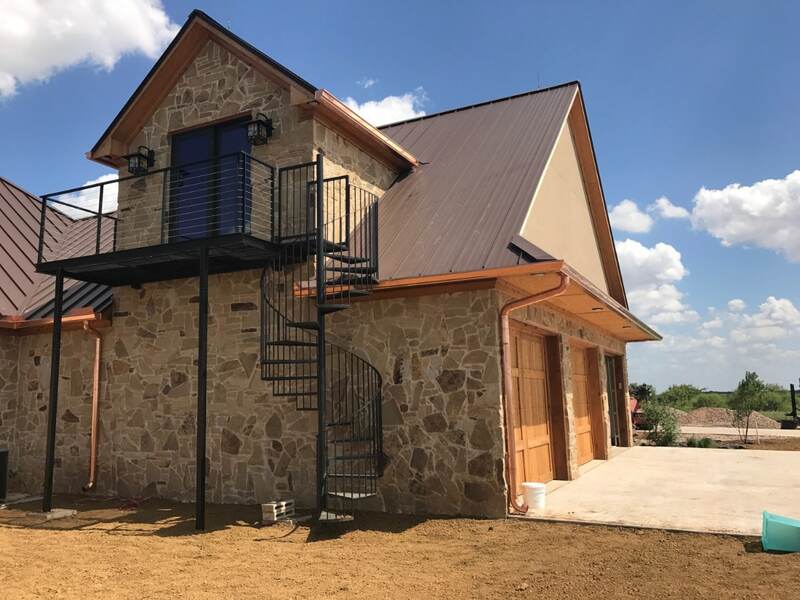 People across North Texas choose Metroplex Gutter and Window for their copper gutter installation because of our years of experience and our reputation for using the best fabrication and installation methods. What can we do for you? 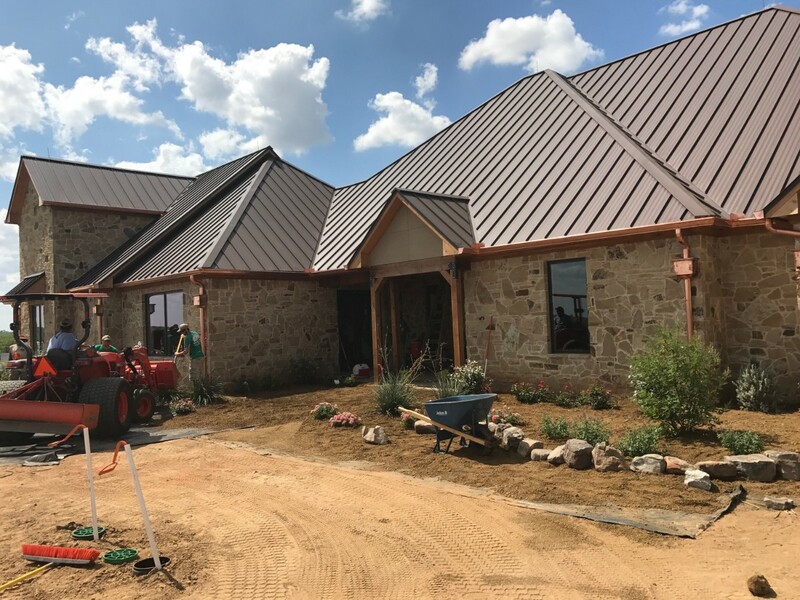 Seamless copper gutters are superior to old-fashioned copper gutters because we can fabricate the long pieces needed for your project on site from coil stock. That prevents us from having to cut long lengths into pieces that can be easily transported from our shop. Seamless gutters have fewer points of potential failure and a more aesthetically pleasing appearance than old-fashioned guttering choices. 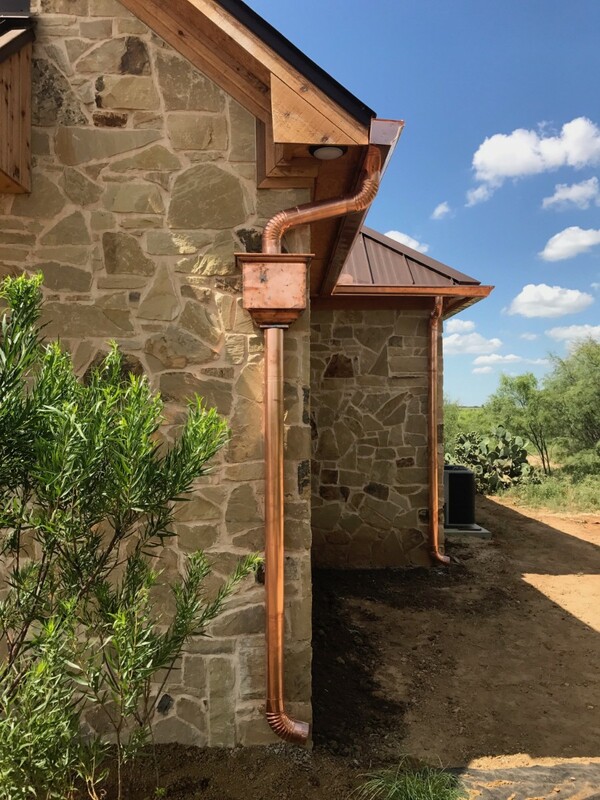 People choose copper gutters for their homes because they have unusual characteristics. 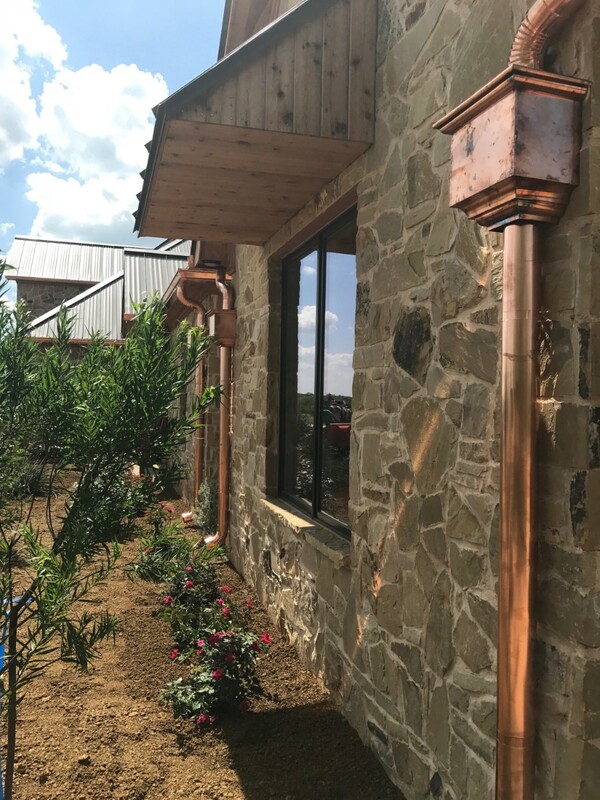 In addition to the unique look that adds a premium appearance to the best homes, copper also changes colors over time, developing a beautiful patina that’s the mark of a well-crafted home. When you choose modern seamless copper gutters, you get great durability and less clogging that with traditional gutters plus no leaks. What could be better? 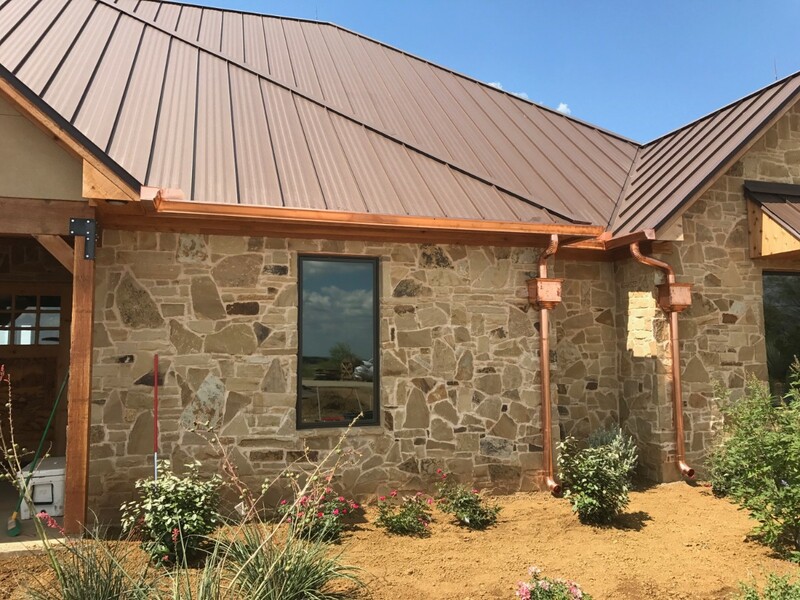 If your home or business doesn’t have gutters or has worn or failing gutters, choose copper gutters or seamless copper gutters and increase the functionality and appeal for years to come.